This project involved the conversion of the old Solebich website built with TYPO3 to Drupal. Solebich is the biggest interior design community in Germany. The community had more than 20k users and 100k nodes. We first developed a Drupal system mimitaing each and every aspect and functionalities of the old website. 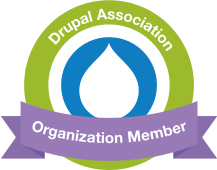 Then we transfered the data from TYPO3 to Drupal, working closely with XLContent. Numerous community features were implemented including user friend and messaging system and other. Users can create profiles, blog posts and Image galleries, and they can access their personalised accounts in their profile pages. Different templates are provided depending on if the users see their own - or other users pages. A custom theme was provided from PSD files were user profile pages and node templates were heavily customised to meet the special requirements. Custom modules were developed for special file caching mechanisms and other & custom code was inserted in various places to provide the relevant output. This is an ongoing project and many updates are about to take place.